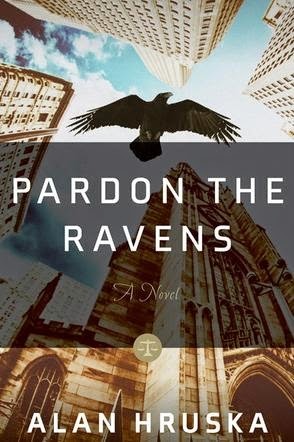 Alan Hruska is the author of the new novel Pardon the Ravens. 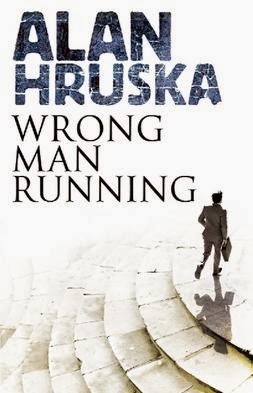 He also has written the novels Wrong Man Running and Borrowed Time, and several plays. He is the screenwriter and director of four films, is chairman of the book publishing company Soho Press, and is a former trial lawyer. Q: How did you come up with your character Alec Brno, and why did you decide to set the novel in the 1960s? 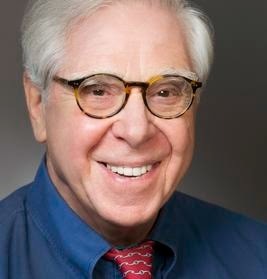 A: I was a young lawyer in the 1960s. Imagining another one wasn’t that difficult. But re-entering that era – which was richly atmospheric and has almost entirely disappeared – was, I believe, something more than an indulgence in nostalgia. Profound social changes, decade by decade, are like layers of one’s life. Cosmologists now increasingly believe we live in a pointless universe. They may well be right, but not about life itself. By revisiting any past era, feeling its differences from today, one realizes that the details do matter and how full and meaningful life really is. Q: How was the book’s title chosen? A: I remembered the quote: “Pardon the ravens and censure the doves.” Always liked it; thought the first part fit. Q: You’ve worked as a trial lawyer, written and directed plays and films, and been a book publisher, in addition to writing novels. How do all these different activities complement one another for you? A: Writing plays, films and books are complimentary for obvious reasons. They are, of course, each expressions of imagination, and developing skills at one form will usually pay off in others. For example, plot, characterization and dialogue are generally key to any form of fiction. Although the dialogue written for a play or novel might differ from a movie script, the three types of dialogue have less differences from each other than they have in common. And the more one writes anything, the better one gets at it. As for book publishing: I think the better the writer, the better the publisher – and, living through the realities of the publishing world certainly contributes to the education of an author. And the flow in the other direction is equally clear. I would always say to young lawyers (and to myself), Tell a story! Whether you’re writing a brief, making an argument on appeal or addressing a jury, if you’re not telling a story, you will put them to sleep. Q: Which writers have influenced you? A: The writer most influential for me was Laurie Colwin. She was also a very dear and close personal friend. Apart from Laurie, there are others too many to list (but among near contemporaries: John Casey, Russell Hoban, Lorrie Moore, and Lee Child). A: My current projects are: three different plays at different stages of development and production; a movie (which a group in London is about to begin producing); a comedy/mystery novel (the first draft of which is now with an editor); a sequel to Pardon the Ravens (about one-third finished); and whatever issues my daughter [Soho Press publisher Bronwen Hruska] chooses to bring to me involving Soho Press.